SIF contains the PET frame start and end times, and the numbers of observed events during each PET time frame. Prompts and randoms in the SIF data can be used or are required in calculating weights for model fits. SIF data is required e.g. when applying simplified reference tissue model with basis function approach (imgbfbp). Weights can be added into regional datafiles using dftweigh. 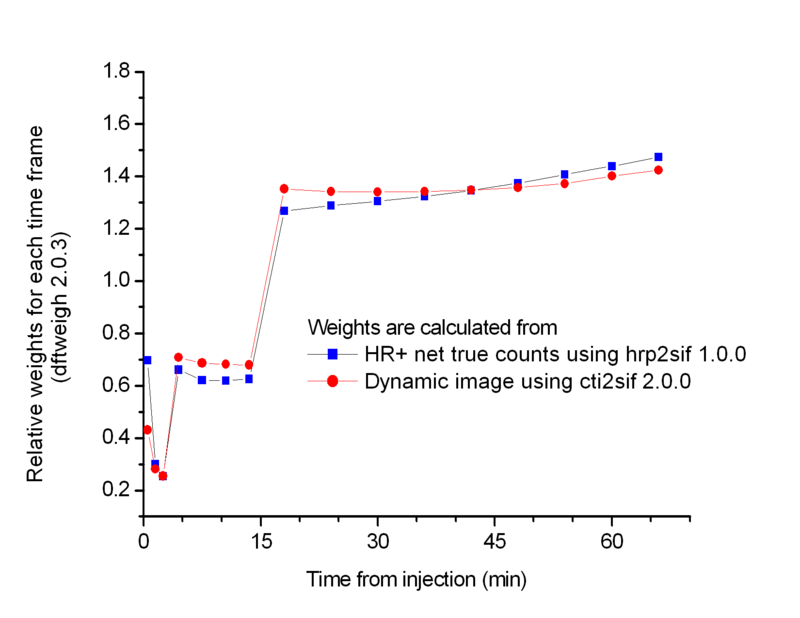 Analyze and NIfTI image formats do not contain information on PET frame times, therefore PET images in Analyze and NIfTI format should always be accompanied by SIF data. DICOM images should contain frame times, but if not, Carimas can read frame times from sif file saved in the DICOM folder with name FrameInfo.sif. 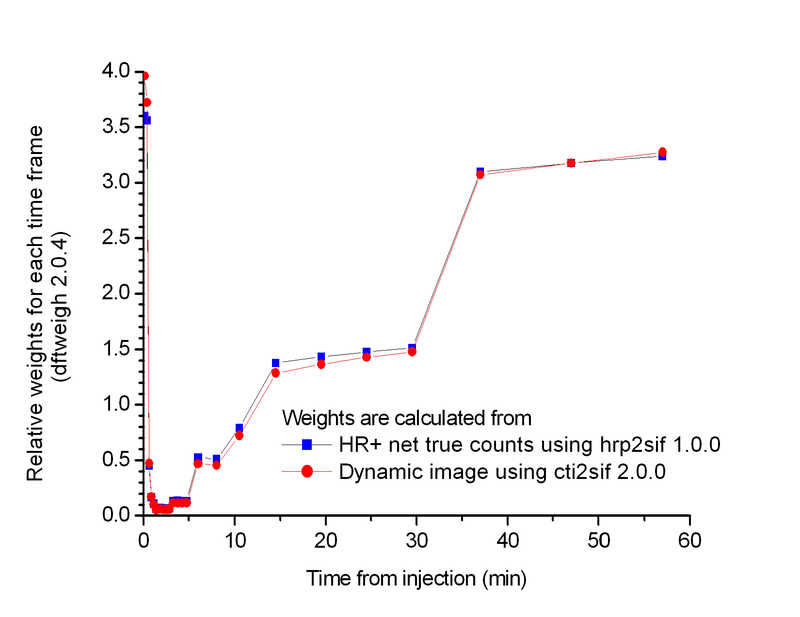 Analyze and NIfTI image format does not contain information on the isotope or its half-life, therefore dynamic Analyze and NIfTI images should always be accompanied by SIF data. If SIF does not either contain isotope, it can be added to SIF files using sifisot. PET image data is stored in PACS in DICOM format which contains the time frame information. If image data is converted to Analyze 7.5 or NIfTI format using ImageConverter, be sure to tick the check-box for saving SIF. In Turku PET Centre, SIF data is extracted together with ECAT 6.3 images from GE Advance database, and written in the same directory as the PET image with extension .sif. 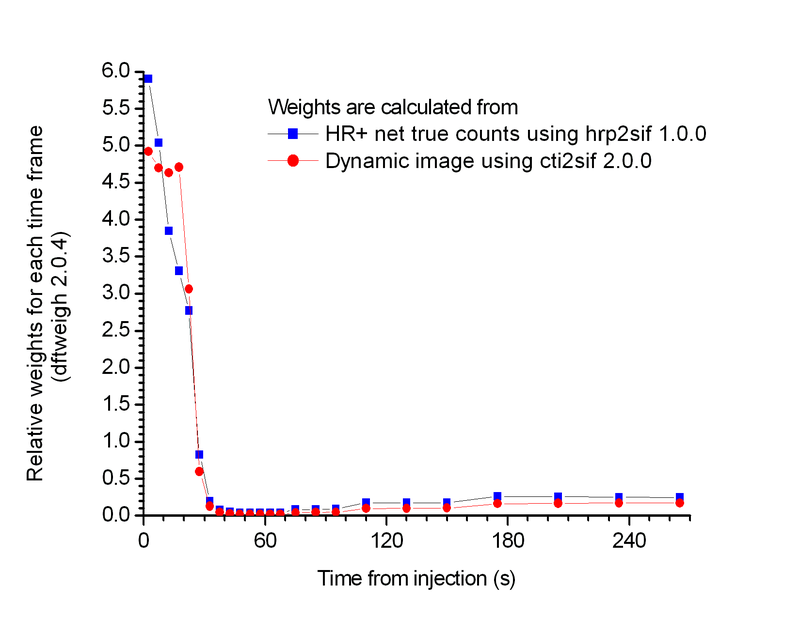 SIF data can be extracted from HR+ scan data (*.s) using hrp2sif. 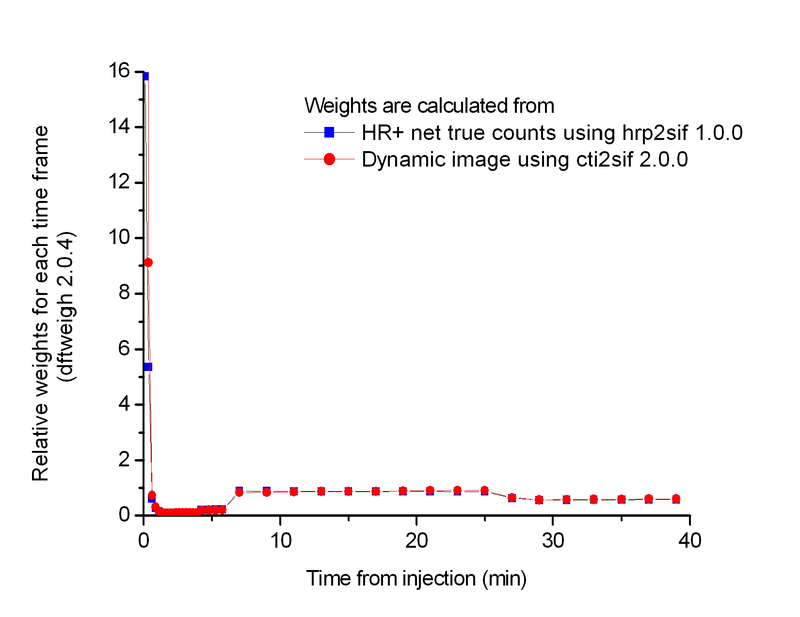 SIF data can be extracted from original image header files (*.hdr) using upet2sif. 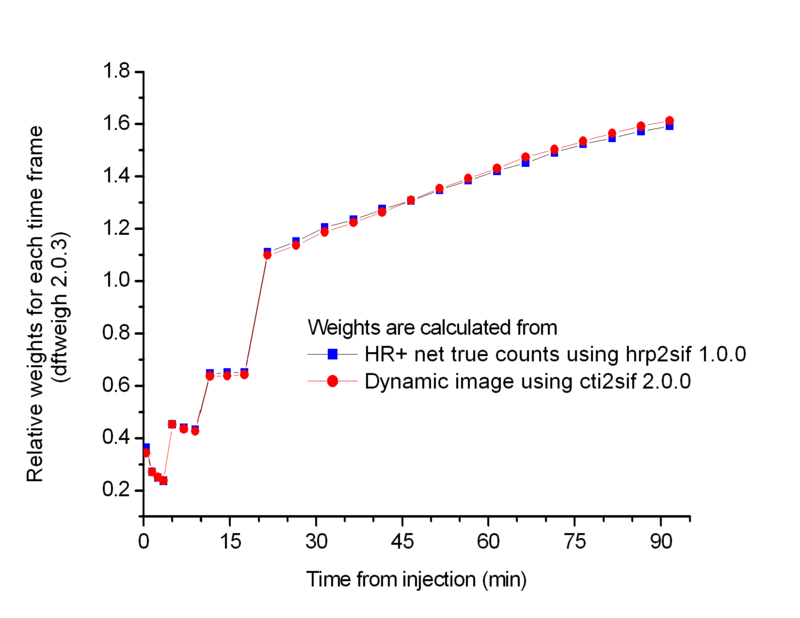 If SIF data is not available, the weights can be estimated with sufficient accuracy based on PET image data. Programs eframe and imgweigh can be used to produce SIF from dynamic ECAT 6.3 or ECAT 7 images. If absolutely necessary, the SIF files can also be made from regional PET data using dftweigh with option -sif=filename. Program tacframe can make SIF from TTAC file containing just the frame times. Adding isotope code to SIF. Setting study number to SIF.